One of Australia’s peak Muslim organisations has defended the country’s halal certification process, after a group of meat processors called on the federal government to intervene in its regulation. Ten meat processors met the Department of Agriculture last month, calling on the government to oversee all aspects of halal certification, including slaughter and product certification, to help open up export markets, the ABC reported. But Muslims Australia – a federation of Islamic councils – said the commonwealth already played a role through the agriculture department, which licenses halal-approved abattoirs. 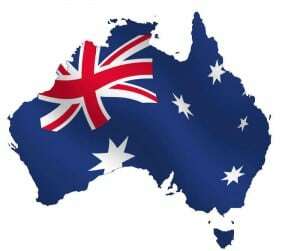 Those procedures are dictated by the countries that import food from Australia. The group of meat processors argued that this created a monopoly and gave import countries the upper hand. The agriculture department acknowledged the meeting had taken place in October. “The discussions covered a range of business and commercial topics, including halal certification,” a spokesman said. A spokesman for the agriculture minister, Barnaby Joyce, told Guardian Australia that “the minister always welcomes the views of industry on how we can approach supplying export markets, and looks forward to the outcome of the Senate inquiry currently under way”. Halal – preparing food according to Islamic law – does not change the content of the food, and often refers to a specific method of slaughtering animals. A Senate inquiry into halal certification will report back this month. It received more than 1,400 submissions from food and exporter groups, religious organisations and concerned individuals. The Australian Food and Grocery Council noted in its submission that allowing import countries to set conditions of halal certification can be costly and problematic. “The concern arises where the export market recognises only a small subset of ‘authorised’ Australian certifiers and where there is no consistency between export markets as to which Australian certifiers are recognised,” the council said. “This leads to the situation where an exporter might be required to obtain multiple halal certifications to export to different markets. “This situation also creates a quasi-monopoly for approved certifiers, providing no competitive force to encourage innovation and efficiency and manage costs,” it said. But the council said meat processors would not seek certification unless it benefited them.